Diane Dulin, Kairos USA Director of Church Participation, addresses the workshop audience. 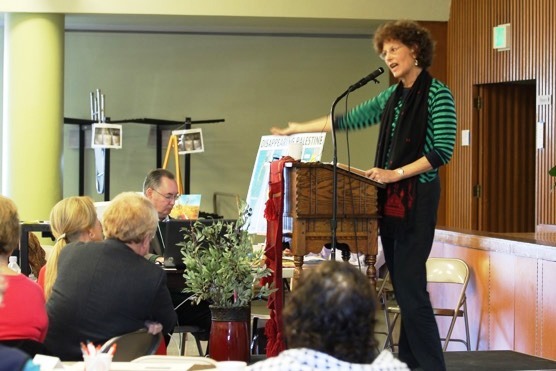 Connections among the 125 people in attendance at St. Mark’s Episcopal Cathedral in Seattle crackled with energy on Feb. 28. Representatives from about 10 Christian denominations and at least three faith traditions took part. Participants included newcomers to the issues of justice in Palestine as well as longtime activists. The Rt. Rev. Greg Rickel, Bishop of the Diocese of Olympia (Western Washington), opened the program with stories and visual images of his recent pilgrimage to Palestine Israel. Many counted the bishop’s comments among the high points of the day. He spoke eloquently about the importance of visiting the region, seeing its true realities, and meeting its people. 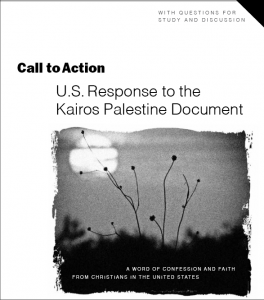 His stories illustrated difficult dimensions of the illegal settlements in Palestine and first time visitors’ learning process as they encountered Palestinian Christians some may not have known existed. Bishop Rickel’s intent is to ensure all candidates for ordination within his diocese get the chance to visit Palestine Israel and meet its people. Kairos USA staffers Mark Braverman and Diane Dulin spoke at plenary sessions. Eight action-oriented workshops were facilitated by local Seattle-area leaders. 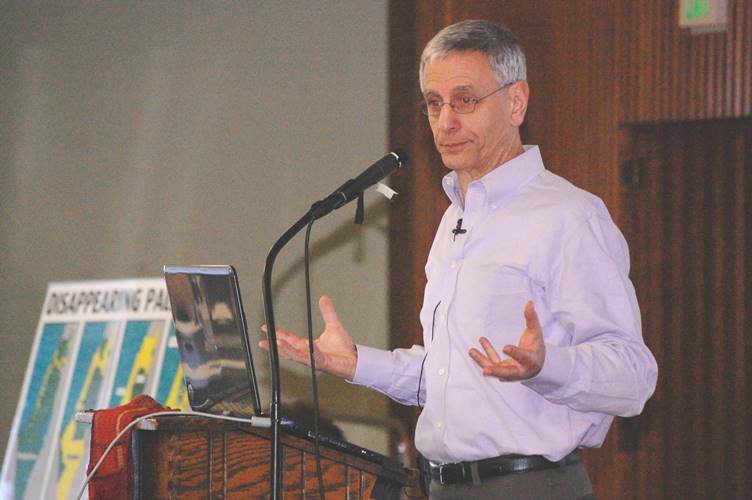 The Seattle Kairos One-Day Workshop drew more than 120 people. In addition to workshops on political advocacy, educational programming, responsible travel and BDS movements, others were offered to help people simply talk about the justice issues of Palestine and to express their own questions still left unanswered. 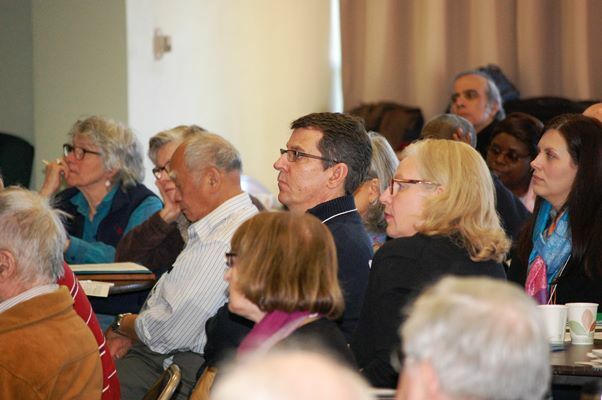 A well-attended workshop focused on next steps for creating a diverse Kairos Seattle network, providing communication, connection and shared efforts among diverse organizations and denominations at work in the Seattle metropolitan area and beyond. Outcomes are still emerging from the day. It is possible one or more Seattle Pacific University students will become college interns for the Seattle Kairos program. Exploratory conversations are taking place to consider a partnership for tangible benefit to children in Palestine. Mark Braverman speaks to the Seattle workshop attendees. These are still in the very beginning stages. However, should they come to fruition it will be the day spent at St. Mark’s which will be considered their genesis. Evaluations and survey comments offered by participants will allow Kairos USA to continue fine-tuning our presentations. One generous evaluation expressed high satisfaction not only for the material presented, but also for the generous hospitality provided by the local leadership team and the traditional Palestinian lunch catered by a local restaurant.